Fast, quiet, and smooth, the Crosman Fire NP is absolutely stacked! Featuring patented Nitro Piston technology, the Fire NP shoots at blazing velocities (up to 1200 fps with alloy pellets) while producing reduced recoil and 70% less noise. 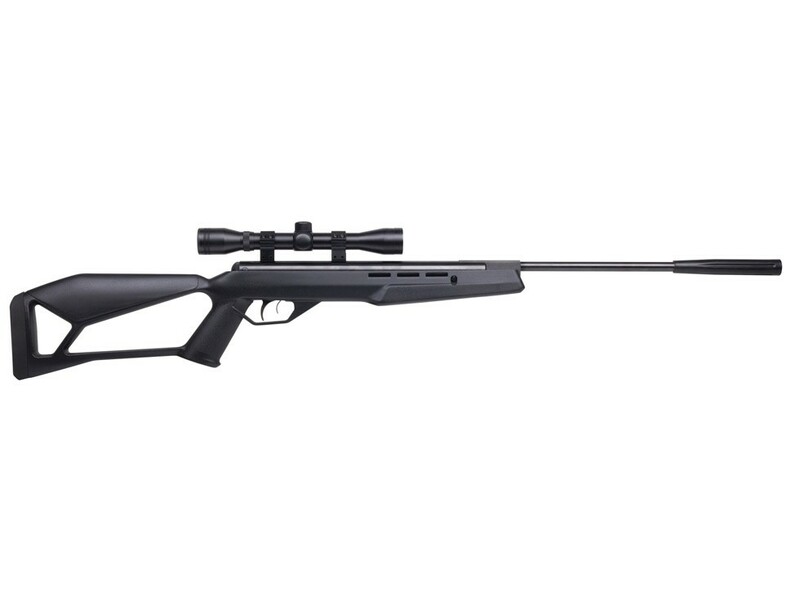 This air rifle is also fitted with a rifled steel barrel, two-stage adjustable trigger, and a CenterPoint 4x32mm scope, making the Crosman Fire NP both powerful and accurate! Things I would have changed: It's a bit loud. not for me really but the neighbors might be a bit concerned. What others should know: A best buy for the money. Pest control perfect. Plinking perfect. Kinda heavy. Love it!! Things I liked: Amazing weapon. Very accurate at 10 paces and beyond. At 6 paces it will almost put a arrow point pellet through 1/2" hardwood plank. Feels very durable. The velocity has to be higher that reported even with lead pellets. Gives a good burn to the bi-ceps and pec when cocking. 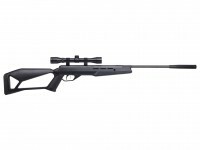 With a good scope that costs way more than the rifle you can be sure this weapon will hit its mark. Things I would have changed: Crosman... can I get a discount on the scope? The one that comes with it is barely adequate for close range backyard plinking. A lot of us just don't want to just hit the can but also to know where exactly and how powerful we hit it. I spent much time debating to upgrade the sights and have been so much more accurate making the one that came with it obsolete , so seriously how much for the original scope?... anyone... Bueller.. Bueller.. Bueller... I didn't think so. What others should know: Did I mention the scope?, but on the bright side of this review is the rifle itself. If you want to get a little better at shooting, and a little better in shape, then definitely get this for your first, your last, or just for a collection. Heck, we're not gonna win no wars with BB's and Pellets but if life draws us to the wire we can at least put an eye out or two. This aint your Red Rider! One Shot One Kill! SPARTAN by the Grace of GOD. It's got a little snap to it, but not terrible. Depending on how close you are to others, it may be backyard friendly for you. 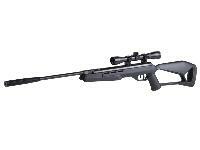 Can anyone suggest a good all around scope for this rifle for plinking and hunting hopefully with a variable aperture and/or zoom (MOA)? My Gamo hunter extreme shoots them with no problems .